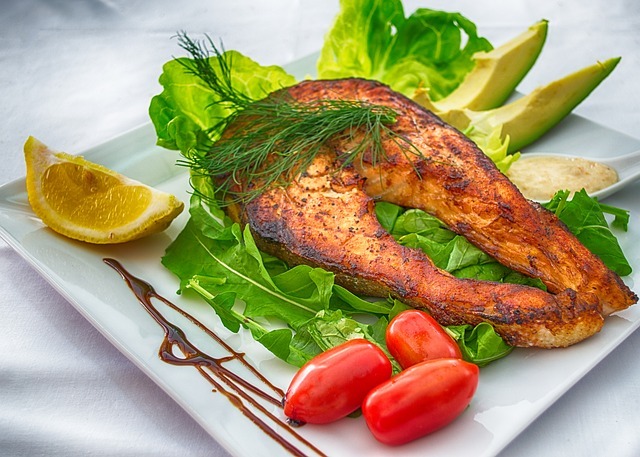 Hashimoto's Diet – Dr. Nikolas Hedberg, D.C.
A recent paper entitled, “Effects of low-carbohydrate diet therapy in overweight subjects with autoimmune thyroiditis: possible synergism with ChREBP” looked at how effective a low-carbohydrate diet can be for Hashimoto’s disease. Let’s dig into what the researchers found. 180 patients with Hashimoto’s thyroiditis were enrolled in the study with a composition of 84 males and 96 females aged 30-45. All patients had blood tests done for TSH, Free T4, Free T3, anti-thyroid peroxidase (TPO) antibodies, anti-microsomal antibodies, and anti-thyroglobulin antibodies. Body composition was also determined by body impedance analysis (BIA) which measures bodyfat percentage, total body water, and fat-free mass. Those of you who are patients of mine know we check this in the office with a scale that works through bioempedance and I also recommend a home scale to all virtual patients to do these measurements at home. Foods consistend of leafy greens and “other types of vegetables” that were not considered to be goitrogenic. Goitrogenic foods can inhibit iodine utilization by the thyroid gland which can lead to goiter and thyroid imbalances. 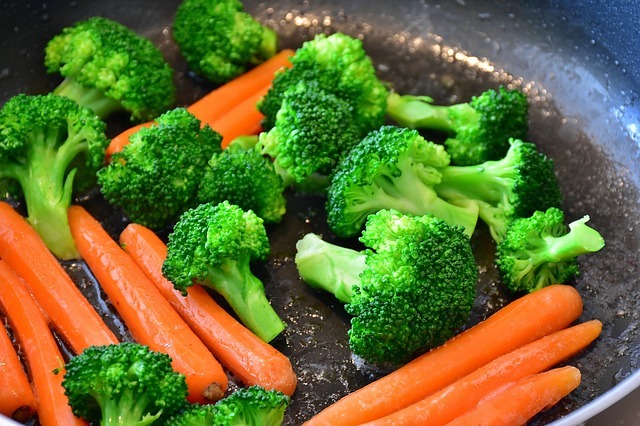 The authors do correctly note that cooking goitrogenic foods completely eliminates any goitrogenic effects they may have. This control group was also instructed to avoid legumes, dairy products, bread, pasta, eggs, fruits, and rice. They were instructed to eat only lean white and red meats. They followed this diet for only 3 weeks and then had bioimpedance testing done as well as all the original thyroid antibody and thyroid hormone tests. The other group of 72 patients followed a simple low-calorie diet without any food restrictions. These patients were also retested after just 3 weeks with the exact same tests. What did the study results show? There were no statistically significant changes in TSH, Free T4, and Free T3 in either group after 3 weeks. The group that ate the low-calorie diet but with no food restrictions only showed statistically significant changes in body weight, lean mass, and body mass index (BMI). We would expect this in virtually anyone eating fewer calories for 3 weeks. You’ll notice that they lost muscle mass which isn’t good and this is the main problem with dieting because losing muscle is not healthy. This group also showed a statistically significant increase in thyroid antibody levels including anti-thyroglobulin and anti-microsomal antibodies but not TPO antibodies. In contrast, the group that followed the restricted diet showed a significant decrease in all three thyroid antibody levels. This group also lost bodyfat, total body weight, and there was a reduction in BMI. Goitrogenic intake of food in each group was taken into account but the authors did not state how these foods were prepared or the quantity consumed. The authors conclude that this type of diet is anti-inflammatory in nature so it can help autoimmune thyroiditis which includes inflammation of the thyroid gland. They also note the effect on thyroid hormone receptors, more specifically the alpha receptor which is found in the liver and white adipose tissue involved in fat-burning in these regions of the body. This type of diet can affect gene expression in these areas in a positive way leading to more fat-burning. The authors also briefly note the affect of thyroid disrupting chemicals on thyroid function which I have written about before in this article. -The patients discontinued eating bread and pasta but we don’t know what percentage of their diet contained gluten. Were they completely gluten-free? This information would be important to know in a study like this on Hashimoto’s disease. -We don’t know the quantity of goitrogenic foods consumed or how they were prepared. Some goitrogenic foods also contain the compound kaempferol which actually improves thyroid function and may offset any negative effects. -3 weeks isn’t long enough to draw very strong conclusions about any of the blood tests that were done. -This diet is inherently low FODMAP which may cause some issues with the patient’s microbiome diversity. This is patient-specific of course so all aspects of the patient’s history must be thoroughly addressed. -The quality of the meat wasn’t specified. Was it grass-fed red meat or conventional? What about the poultry? -This diet was devoid of sugar and processed foods. Pretty much everyone will feel better, lose weight, and reduce their inflammation avoiding such foods. -High protein diets can work well because protein has a high thermic affect. 30% of the calories you eat from protein are used to metabolize the calories from the protein itself. This is compared to just 8% from carbohydrates and 3% from fat. -We can’t separate the reason for the improvements in thyroid antibody levels from the fact that they were eating lower carbohydrates from the food restrictions. Was it the food restrictions or the lower carbohydrate intake that improved these levels? I was impressed that the authors recognize how simplistic treatment is by conventional medicine for Hashimoto’s disease. They state that the only treatment for Hashimoto’s disease is thyroid hormone replacement in the form of levothyroxine which is sorely inadequate in some cases. It’s good to see studies like this being done on Hashimoto’s disease that involve good nutrition rather than just prescription medications. I hope to see more studies like this in the future so we can continue to get closer to solving Hashimoto’s disease which is the most common autoimmune disease in the world. 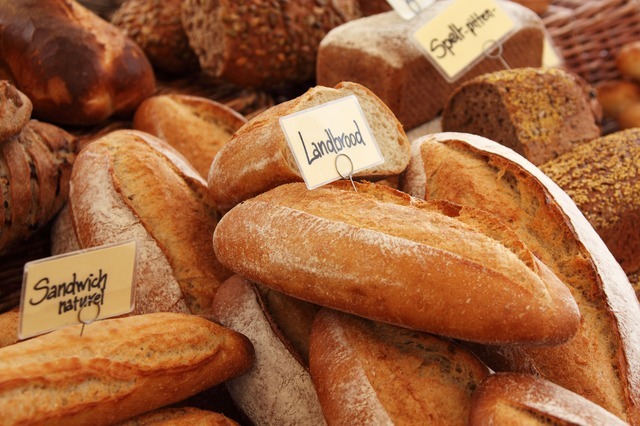 What about a gluten-free diet for Hashimoto’s disease? A gluten-free diet is one of the first things most practitioners recommend to help heal Hashimoto’s disease but we’ve never had any research papers to support this recommendation. Thousands of patients report significant improvement in their Hashimoto’s symptoms on a gluten-free diet but these are just anecdotal reports. Now we finally have research looking into the effects of a gluten-free diet on Hashimoto’s disease. I’m excited to report on a recent paper that looks at the effects of a gluten-free diet on Hashimoto’s disease. The paper is entitled, “The Effect of Gluten-Free Diet on Thyroid Autoimmunity in Drug-Naive Women with Hashimoto’s Thyroiditis: A Pilot Study.” For those who don’t know, “drug-naive” means that the participants in the study weren’t taking any thyroid medication. The authors begin by discussing previous studies that show an association between celiac disease and Hashimoto’s disease noting that Hashimoto’s disease is the most common autoimmune disease connected to celiac disease. They even state that everyone with Hashimoto’s disease should also be screened for celiac disease due to the high prevalence of both disorders found together. They also discuss some possible explanations for why Hashimoto’s disease and celiac disease are so common together. The first is that celiac disease causes gut malabsorption which leads to low selenium and vitamin D levels and we know that deficiencies of those two nutrients can be a cause of Hashimoto’s disease. The second connection is that tissue transglutaminase-2 IgA antibodies can cross-react with thyroid tissue. Tissue transglutaminase-2 is the enzyme that the immune system attacks in celiac disease so the immune system attacks this enzyme in the gut as well as thyroid tissue. 1. Thyroid peroxidase (TPOAb) antibody levels had to be greater than 100. 2. A thyroid ultrasound had to show changes in thyroid tissue. 4. Free T4 (free thyroxine) between 10 and 21. 5. Free T3 (free triiodothyronine) between 2.6 and 6.5. 6. Incidentally found positive anti-tissue transglutaminase antibodies without clinical symptoms of celiac disease. 2. Positive antibodies against the thyrotrophin receptor (This would indicate Graves’ disease). 3. Diabetes or other endocrine disorder. 4. Impaired liver and kidney function. 5. Any acute and chronic inflammatory condition. 7. Women receiving any form of chronic treatment. Group A (16 women) consumed a gluten-free diet for 6 months and Group B (18 women) did not have any dietary restrictions. They followed-up with all participants every two months to be sure they were in compliance with the gluten-free diet. Those who followed the gluten-free diet had to actually provide the packaging for all the gluten-free products they ate. What lab testing did they do? 8. SPINA-GT index (thyroid secreting capacity) and the SPINA-GD index (peripheral conversion of thyroid hormone capacity). The first interesting thing is that positive anti-tissue transglutaminase antibodies were only present in 6 of the participants in group A meaning that the other 10 participants no longer had positive blood tests for celiac disease. All 18 of the participants in group B which ate gluten through the whole study still had positive test results for celiac disease. The gluten-free diet reduced thyroid peroxidase antibodies (TPOAb) and thyroglobulin antibodies (TgAb) and also increased vitamin D levels. The gluten-free diet had no effect on TSH or free T4 levels. All of the markers tested on group B which ate gluten remained the same from beginning to end. Thyroid peroxidase (TPOAb) levels improved from 925 to 705. Thyroglobulin antibody levels (TgAb) improved from 832 to 629. TSH changed from 2.7 to 2.4 which was not really significant but slightly improved. Free T4 levels slightly improved from 14.9 to 16.1. Free T3 levels slightly improved from 3.2 to 3.6. Vitamin D levels improved from 20 to 25. 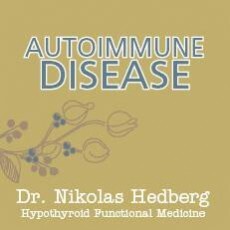 The author’s conclude, “The major finding of our study is that the gluten-free diet reduced thyroid autoimmunity and slightly increase thyroid output in euthyroid women with Hashimoto’s thyroiditis.” Euthyroid for those who don’t know means normal thyroid function based on laboratory test values. They also state that the improvements could be due to increased vitamin D levels, increased selenium levels, and the fact that a gluten-free diet has been shown to reduce inflammation. The authors make an important statement in that a gluten-free diet may delay the development of hypothyroidism in those with Hashimoto’s disease who aren’t hypothyroid yet. 1. The study is non-randomized. 2. Small number of participants. 3. Short period of therapy. 4. The subjects had low selenium status. 5. The subjects had adequate iodine intake which can trigger/exacerbate Hashimoto’s disease. 6. It is unknown if the results would have been similar if the participants had sufficient selenium levels. 7. The study only included women who had “normal” thyroid function which was based on TSH levels. 8. The results may have been different if the women were also treated with thyroid medication, vitamin D, and selenium. The authors do point out that this is just a pilot study and a study with a larger number of participants is required for any strong conclusions. This is a great start for an area that hasn’t been researched yet but any practitioners reading this know that a gluten-free diet undoubtedly has helped many of our patients with Hashimoto’s disease. This study mildly confirms our results in clinical practice. I think the authors did a great job pointing out the weaknesses of the study with one exception. 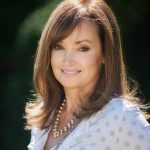 You probably picked up on the problem regarding TSH levels and the range that was considered “normal.” 4.5 is really too high for some patients with the symptoms of hypothyroidism and even the National Academy of Clinical Biochemists state that 2.5 is a more appropriate upper limit for TSH levels. This means that some participants may have fallen into the 2.5-4.5 TSH range and they may have actually been hypothyroid. Other than that, the authors covered all of their bases and did well not to make any extravagant claims based on this study. A gluten-free diet is almost always a great place to start for individuals with Hashimoto’s disease and progressing from there to a Paleo diet or the most restrictive autoimmune paleo diet. If small intestinal bacterial overgrowth is present then a low FODMAP or Paleo low FODMAP may be necessary. And in some individuals a ketogenic diet can be the most effective. There is no single best diet for everyone with Hashimoto’s and there are multiple diets to choose from but this depends on the unique individual that I see. However, going gluten-free as the foundation of any diet you try for Hashimoto’s disease is almost always the best place to start. And now we have some decent research to back up this recommendation. So as you can see from the above two studies, following a low-carbohydrate, gluten-free diet may help heal your Hashimoto’s disease. One important thing to note however is that some women don’t do well on low-carbohydrate diets. If you find yourself crashing on a low-carbohydrate diet or Paleo diet then you may need to eat some rice and quinoa for more carbohydrates. Rice and quinoa usually won’t cause any problems with your healing process. ← Does Vitamin D Supplementation Help Heal Hashimoto’s Disease?